Copper Canyon Press, 9781556592492, 67pp. Winner of the Hayden Carruth Award Radio Crackling, Radio Gone is a debut collection of poetry that explores multiple logics of perception, association, and interpretation. Navigating the edges where things begin to disappear, the poems inhabit border zones of transformation where memory slides into imagination, wakefulness meets sleep, and things possessed become lost. in fact a choice. Insert bird for sorrow. a dividing line. Insert bird for wind. is standing still. . .
Radio Crackling, Radio Gone was selected from the 1,200 submissions to the Hayden Carruth Award. By the time the anonymous manuscript was chosen as winner, the cover sheet was filled with readers' commentary: "stunning" and "lovely" and a bold "YES "
Lisa Olstein was born in 1972 and raised near Boston, Massachusetts. She earned a BA from Barnard and a MFA from the University of Massachusetts Amherst, undertaking additional studies at Harvard Divinity School. 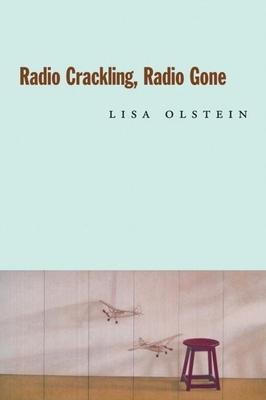 Her debut volume, Radio Crackling, Radio Gone, won the prestigious Hayden Carruth Award. She currently directs the Juniper Initiative for Literary Arts & Action in Amherst, Massachusetts.